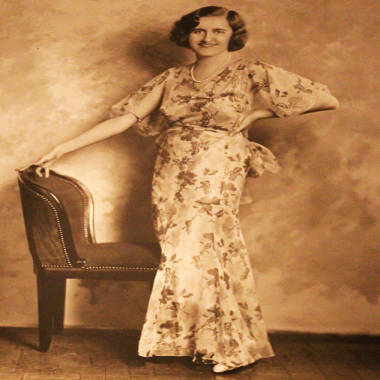 The heiress Huguette Clark poses in a Japanese print dress in about 1943, when she was 37. NEW YORK — With one month until trial, settlement negotiations are being held to divide up the $300 million estate of reclusive heiress Huguette Clark. Although her last will and testament stated emphatically that none of her copper fortune should go to her distant relatives, most of whom she never met, the family would receive millions if a deal is struck. A settlement is not at all certain, and the negotiations have been contentious and complicated, said several of the 60 attorneys involved in the case. A jury trial is scheduled to begin Sept. 17 in Surrogate's Court in Manhattan, pitting Clark’s relatives against the beneficiaries of her will: a charitable foundation, a hospital, Clark's multimillionaire private-duty registered nurse, a goddaughter, attorney, accountant, doctor and several employees. After she died at 104 in May 2011, Clark's will was challenged by 19 of her relatives, who contend that she was mentally ill and incompetent, the victim of fraud by her nurse, attorney and accountant. These relatives are descendants from Clark's father's first marriage, the closest to her being half grandnieces and grandnephews. Her will says, "I intentionally make no provision ... for any members of my family ... having had minimal contacts with them over the years." Fourteen of the 19 said in legal papers that they never met their reclusive aunt. The last time any of them recalled speaking with her in person was in 1957, although some said hello when their parents were on the phone with Huguette on holidays. If a jury throws out the will, they will inherit all her estate, valued conservatively at $307 million, or about $175 million after taxes and fees. She had no children, and no survivors on her mother's side. A 20th Clark relative was found dead of exposure in December under a Wyoming railroad trestle. His heirs will receive his share of any winnings. Charities are the largest beneficiaries of Clark's will as written, receiving 85 percent of the payout. A Bellosguardo Foundation for the arts, at her summer estate in Santa Barbara, Calif., would receive real estate, nearly all of Clark's paintings, and cash – together worth $124 million, or 71 percent of the estate. The Corcoran Gallery of Art in Washington, D.C., would receive a Monet painting from the "Water Lilies" series, appraised at $25 million, or 14 percent. The case is a virtual Rubik's Cube of interlocking problems, according to attorneys involved. The mysterious oceanfront home of Huguette Clark in Santa Barbara, Calif., called Bellosguardo, could become an arts institution if her will survives a challenge from her relatives. How much would the nurse give up? Peri received more than $31 million in gifts while Clark lived. The estate's administrator is asking for all of that money back. The office of New York Attorney General Eric Schneiderman, which protects charitable interests, is on the side of the will, but the attorney general has been pushing in negotiations for Peri to get little or nothing more, because under law gifts to caregivers are questionable. A spokesperson for the AG's office declined to comment. How much would the charities lose? 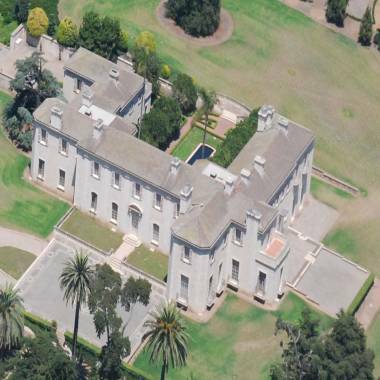 Instead of establishing the Bellosguardo Foundation, an arts charity at the Santa Barbara summer home, called Bellosguardo, the family insists that it be sold. The attorney general's office is siding with letting the foundation have the property. The hospital may accept less than its $1 million. And the cash-strapped Corcoran Gallery could accept only part of its $25 million, instead of the Monet painting. How much would satisfy the family? After asking for 75 percent of the estate at first, the family has lowered its negotiating position to 60 percent. The attorney general proposed this week that the family receive about $41 million, or less than a quarter of the estate. Will the attorney and accountant renounce their bequests? That step would make it easier for them to testify in support of the will. Although a criminal investigation by the Manhattan district attorney officially remains open, no one has been charged. Police found that the paper trail supported the attorney and accountant's account that Clark authorized expenses and gifts, writing checks in her own steady hand, the same handwriting that appears on the will. Bill Dedman is the co-author of "Empty Mansions: The Mysterious Life of Huguette Clark and the Spending of a Great American Fortune," a book coming out Sept. 10 from Ballantine Books. The co-author is Paul Clark Newell, Jr., Huguette Clark's cousin, who is not involved in the legal contest.